Ameron 22350206 is a 2" Spigot x Male NPT Primary Adapter. Ameron 22370202 is a 2" Bell X Male NPT Primary Adapter. Ameron 22372108 is a 2" 90 Degree Elbow. Ameron 22378007 is a 2" Fiberglass Tee For Alcohol. Ameron 22469201 is a 2" LCX 2-Piece 90 Degree Elbow Clamshell. Ameron 22469202 is a LCX 2" 45 Degree Clamshell Elbow (2 pc). Ameron 22469203 is a LCX 2" Clamshell Tee (2 pc). Ameron 22469204 is a LCX 2" Containment Coupling Clamshell (2 pc). Ameron 22850203 is a 2" Bell x Female Adapter. Ameron 22850707 is a 2" Sleeve Coupling. Ameron 2Q370503 is a 2" x 1.5" NPT Primary Doughnut Reducer Bushing. Ameron 32370504 is a 3" x 2" 3000L Primary Reducer Bushing. Ameron 33350203 is a 3" Bell x Female NPT Adapter. Ameron 33370202 is a 3" Bell x Male NPT Adapter. Ameron 33370703 is a 3" Secondary Containment Coupling (Clamshell 2 pc). Ameron 33371405 is a 3" 45 Degree elbow Clamshell (2 pc). Ameron 33371508 is a 3" 45 Degree Primary Elbow. Ameron 33372005 is a 3" 90 Degree Secondary Containment Elbow (Clamshell 2 pc). Ameron 33372108 is a 3" 90 Degree Elbow. Ameron 33469202 is a LCX 3" DW 45 Degree Containment Elbow (Clamshell 2 pc). Ameron 33469203 is a LCX 3" Secondary Containment Tee (Clamshell 2 pc). Ameron 33469204 is a LCX 3" Secondary Containment Clamshell Coupling. Ameron 33850707 is a 3" Sleeve Coupling. The Ameron 44350707 is a 4" Primary Sleeve Coupling, with UL label. Ameron 44371405 is a 4" 45 Degree Secondary Containment Elbow Clamshell (2 pc). The Ameron 44469204 is a 4" Clamshell Containment LCX Coupling (2 pc). The Ameron 66372108 is a 6" 90 Degree Elbow. Ameron 80210101 8oz. PSX-20 adhesive kit is a patented two-part epoxy siloxane adhesive, designed for permanently joining fiberglass pipe and fittings with taper / taper joints. Ameron 22371508 is a 2" 45 Degree Elbow Underground Piping. OPW 6PGR4-4153 is a 53 inches long double radius pipe guard. OPW 6PGR4-4174 is a 74 inches long double radius pipe guard. OPW 6PGR4-4951 is a 51 inches long double radius pipe guard. OPW 6PGR4-4972 is a 72 inches long double radius pipe guard. 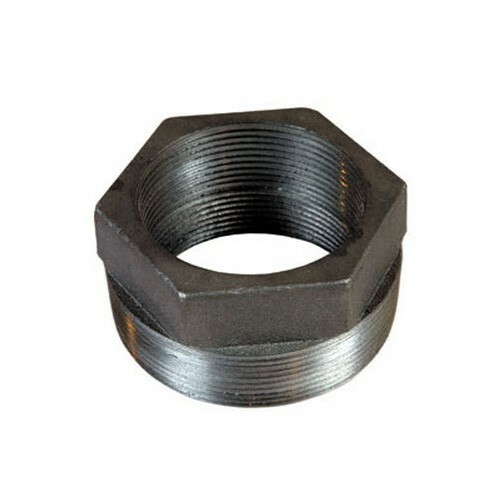 The OPW 53-0012 - 2" x 1-1/2" Iron Bushing for use on tank vent lines, fill lines, suction lines or other lines where it is necessary or desirable to bush up or bush down. Universal 723-4012 4” x 12’ Drop Tube provides efficient bottom filling of storage tanks. The flared aluminum tube rests on top of the fill pipe where the adapter threads onto the riser, holding the tube in place. 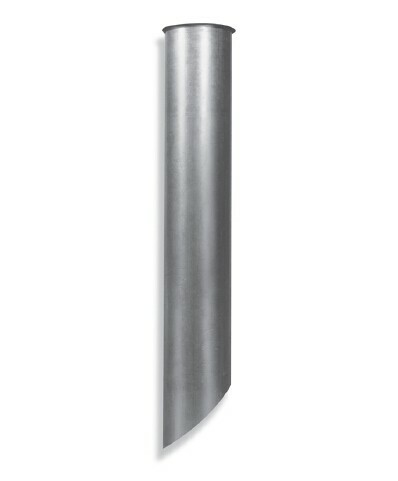 Universal 723-4015 4” x 15’ Drop Tube provides efficient bottom filling of storage tanks. The flared aluminum tube rests on top of the fill pipe where the adapter threads onto the riser, holding the tube in place.